We understand that sometimes getting older can come with new health challenges that have never been experienced before. Our team of geriatric specialists can help you understand and assess these situations and assist you and your family members in determining the proper care plan to make this time easier. This hospital unit, which provides inpatient care to seniors, seeks to prevent complications and promote independence in the older adult. Learn more about the ACE Unit at Methodist Hospital. This clinic at Methodist Hospital provides assistance to older adults and their families when quality of life has been affected by changing health conditions. Learn more about the Geriatric Evaluation and Management Clinic at Methodist Hospital. The Methodist Hospital Emergency Department (ED) implemented a Geriatric Resource Nurse (GRN) model of care in 2016. The focus of this program is to identify older adults for non-emergent geriatric specific needs by nurses educated in geriatrics and emergency department nursing. A mini-geriatric assessment is completed and follow up appointments are made prior to discharge to ensure ongoing needs are addressed. Learn more about the Geriatric Resource Nurse Program. The Hospital Elder Life Program (HELP) is designed to help elder patients, who can become disoriented by the unfamiliar hospital setting and being out of their regular routines. The program is designed for health profession students who apply to become HELP volunteers. Learn more about the HELP Volunteer Program. We’re creating better care and better outcomes for you. 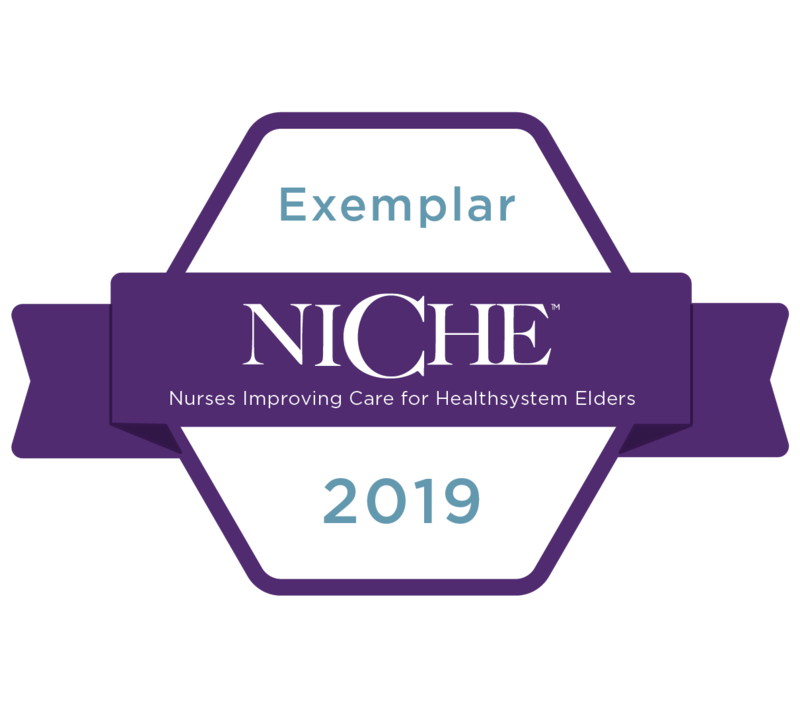 The NICHE (Nurses Improving Care for Healthsystem Elders) Program at Methodist Hospital was recently awarded "Exemplar" status, the highest of four possible program levels awarded by the international program designed to help hospitals improve the care of older adults. The award recognizes Methodist's ongoing, high-level dedication to geriatric care. In 2010, Methodist Hospital was selected to participate in a national program designed to teach registered nurses about geriatrics, palliative and end-of-life care. Nurses from are invited to participate in the four-month program in collaboration with Nebraska Methodist College. Upon completion, nurses become certified in their area of nursing specialty, geriatrics or hospice and palliative care nursing. AgeWISE is the standard of practice in promoting excellence in geriatric care patient care.